The ultimate in entertainment. You don't have to be from the Mediterranean to appreciate the grace and skill belly dance provides. The perfect compliment to any celebration. Cheeky Belly Dancer provides the best of what belly dance has to offer. From an intimate solo performance with veil and zills to a traditional zeffa to a all stops pulled theatric production with choreographed groups of dancers, fire and one of kind props like LED wings and Fire headdresses, Lauren can create the perfect show for your event. 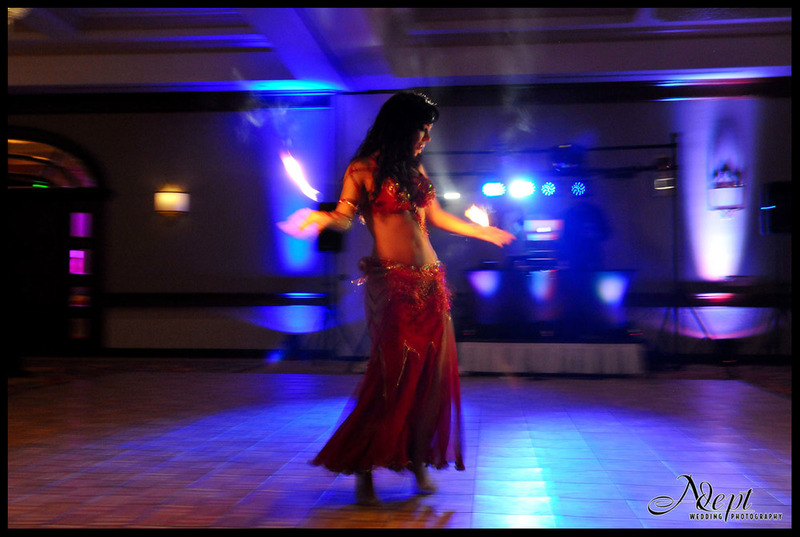 All belly dance is licensed and insured, liability certificates are available for venues at no additional charge. ontact Cheeky Belly dancer or look at Booking page for idea of rates. Rates are subject to change due to time, date, location. Belly dance as "raks sharki" as it's called in the West is a fun and energetic dance perfect for all occasions. Shows are all family friendly and can range from traditional props to full modern theatrical specticals! Shows begin with a dramatic entrance followed by a performance of a few pieces such as fire sword or fire fans and new LED wings or a more tame Egyptian cane dance and veil. After the show, I will go into the audience and get your guest up to dance with me while playing finger cymbals. Audience interaction is always optional but a great way to get the party started and everyone on the dance floor! Solo and group performances are available. Look through the videos below for traditional and modern examples. Cheeky Belly Dance’s authentic, talented, beautiful, and professional belly dancers will leave you wanting more. Belly dance has a long and contested history but it came to America first at the Chicago World Fair in 1893 where Little Egypt performed. Little Egypt was not of an Middle Eastern descent and was arguably an orientalist exploitation but regardless this demonstration brought belly dance to the American eye. In Arabic, belly dance is called “Raqs Sharqi (rah-iss share-kee),” and is also dubbed oryantal and arabesque. Belly dance is popular throughout the Middle East and Balkans but now you can find it nearly anywhere in the world. Historians date the dance from as far back as 3000 B. C. Belly dance absorbs the dance styles around it including Romani dance, Bollywood as well as modern dances such as ballet, hip hop and ballroom. A common misconception is that belly dance was intended as entertainment for our male counterparts. Quite the opposite is true. Likely, odalisques performed for the harem. Despite popular conceptions, the harem was the women and children of the royal family, not a plethora of women for the Sultan. Odalisques were village girls selected for their skill and beauty to entertain the women first. Women were not allowed to perform in public in the Ottoman Empire which also led to many men performing in drag, very similar to men performing as women in Shakespeare’s plays. In modern times it is more subliminal, a celebration of the female spirit. It has been taken by women’s groups and feminist alike to experience an awakening of female energy as well as a popular dance style for Middle Eastern restaurants and night clubs The female anatomy lends itself trainable to the many complex movements that characterize traditional Middle Eastern Dance: intricate patterns of movement, where single parts of the body move independently. It is truly an art, and when performed gracefully and with skill, there’s no mistaking it for anything other than remarkable. Quintessential Middle Eastern dance requires an intimacy with the music that summons it. “Listen to the music, and dance to it!” Sounds easy enough. As we know, music is more than noise or a succession of sounds, particularly so in the case of this genre. Together, the rhythms and melodies tell a story; sometimes a very long story, otherwise known as a saga. The ability to really hear the music with more than the ear, and interpret the emotions conveyed in the lyrics takes genuine talent. This occasion is rare, but when it happens, you recognize it for what it is: awesome.